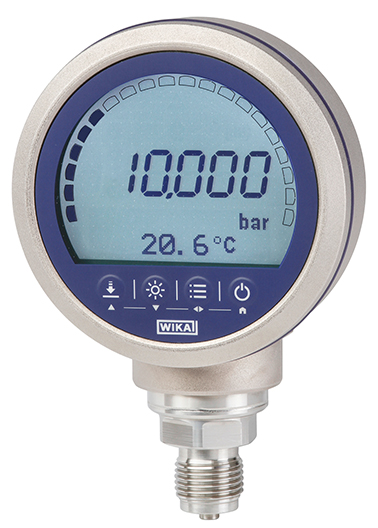 Extended measuring ranges, large data logger, wireless functionality and streamlined menu operation: With the model CPG1500, WIKA has launched an improved precision digital pressure gauge with an appealing price/performance ratio. The new calibration and test instrument has been designed for versatile use. 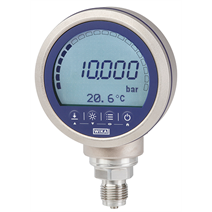 The CPG1500 covers pressure ranges up to 0 ... 1,000 bar and measures with an accuracy of up to 0.05 % of span. Its data logger can record up to 50 measured values per second. The data is transmitted wirelessly and can be processed using the WIKACal software. Further functionality, such as min/max memory or integrated temperature measurement, enhances the performance range. The new menu structure of the CPG1500 enables a quicker intuitive input for all parameters. A 5½-digit display with bargraph and a large text field supports the analysis of measuring points on site. The measuring quality of the CPG1500 is “packaged” within a robust design. As an intrinsically safe instrument (IECEx, ATEX, CSA approvals) and with IP65 ingress protection, it offers reliability and durability, even with extreme process conditions.